A new study from researchers at the City of Hope cancer center in Los Angeles and Wake Forest University School of Medicine in Winston-Salem, North Carolina, reveals how the length of time between initial and follow-up cytoreduction surgery and HIPEC plays a role in patient survival. The study, published in June in the Journal of Surgical Oncology, shows peritoneal mesothelioma patients who repeat the procedure between one and two years after the initial surgery have the most favorable outcome, with a median overall survival of nearly four years. Peritoneal mesothelioma is an aggressive, asbestos-related cancer, and recurrence is common. The multimodal approach of CRS followed by heated intraperitoneal chemotherapy (HIPEC) is the standard treatment option for peritoneal mesothelioma patients. In 2013, researchers at Moffitt Cancer Center concluded patients who opted for a second procedure survived nearly three times as long as those who underwent only one procedure. The goal of CRS, also known as debulking, is to remove any visible tumors or cancer from multiple sites in the abdomen. It may require removing some or all parts of major organs, including the gallbladder, liver, pancreas, stomach, spleen and intestinal tract. HIPEC involves delivering heated chemotherapy drugs directly to the abdominal cavity to treat any cancer cells that may remain. It is considered a risky procedure, and not all peritoneal mesothelioma patients are candidates. Sometimes, multiple rounds of HIPEC are necessary to send the cancer into remission. In addition to peritoneal mesothelioma, CRS and HIPEC are used to treat other gastrointestinal cancers and peritoneal surface malignancies including cancers of the colon, appendix and gallbladder. Using a City of Hope database of 1,314 CRS and HIPEC procedures performed between February 1993 and December 2015, Konstantinidis and his team identified 103 (8.5 percent) patients who underwent repeat procedures. Mesothelioma patients carried the most significant disparity of overall survival, according to the time interval between first and second CRS and HIPEC procedures. Median overall survival for all peritoneal mesothelioma patients in the study was 2.4 years. All other cancer patients who underwent repeat procedures after two years saw a significant increase in overall survival compared to those in the one- to two-year range, including a four-year difference for low-grade appendiceal cancer and three-year difference for colon cancer patients. The median overall survival for all cancers in that interval was seven years, far longer than mesothelioma patients in that group, for all patients who underwent repeat procedures after at least two years. This can be attributed to the high recurrence rate of peritoneal mesothelioma and its ability to spread quickly. Although the study links repeated procedures more than two years after initial surgery with the best overall survival, the optimal time interval for mesothelioma patients is between the first and second year. Researchers at Wake Forest were part of a 2015 study analyzing the survival-time gap between the two most common types of mesothelioma — peritoneal and pleural. The study showed the median survival for peritoneal patients is four times that of a patient diagnosed with pleural mesothelioma, which develops on the protective lining surrounding the lungs and accounts for roughly 70 percent of all mesothelioma cases. Median survival for peritoneal patients was more than six years, compared to just 18 months for pleural patients. 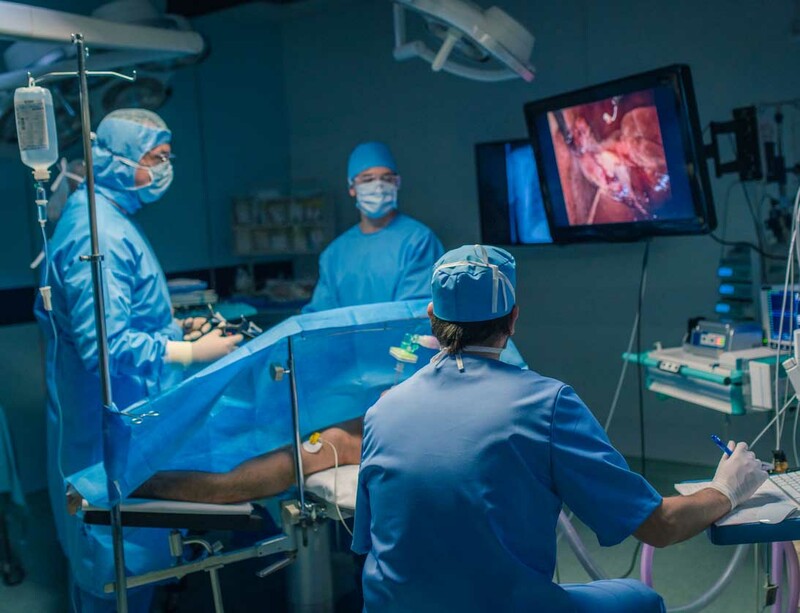 Advancements in therapy, most notably the cytoreductive surgery and HIPEC procedures, are credited for the significant difference in prognosis between the two types. Combining heated chemotherapy with aggressive surgery has not been as successful for treating pleural mesothelioma. There are still limitations for CRS and HIPEC. Peritoneal patients are eligible on a case-by-case basis, depending on tumor growth and whether the cancer has spread outside of the abdominal cavity. But ongoing research continues to demonstrate the procedures as the standard therapy for peritoneal mesothelioma.